Don’t like the cold? Neither did I when we decided to go to Finland for a spot of Winter fun! 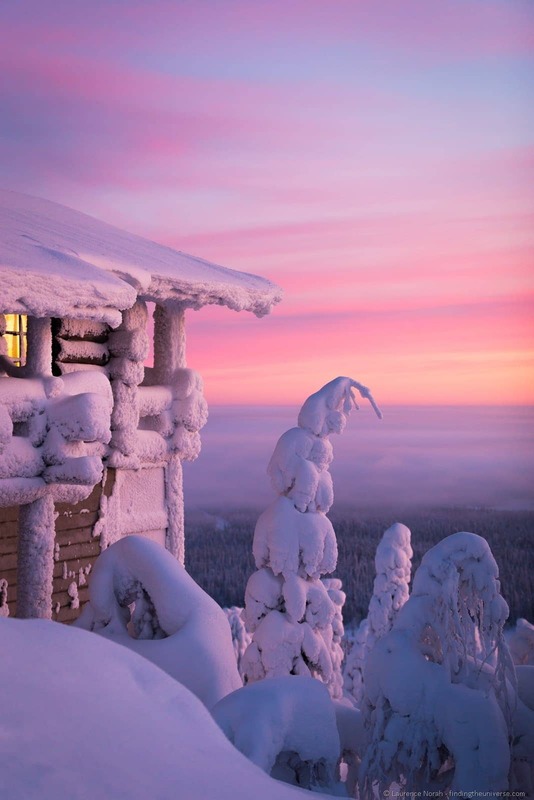 On the other hand, I’ve always liked the idea of the northern lights, clear skies and fabulously frosted landscapes. All of which, it appear, seem to require putting up with a spot of chilly weather. 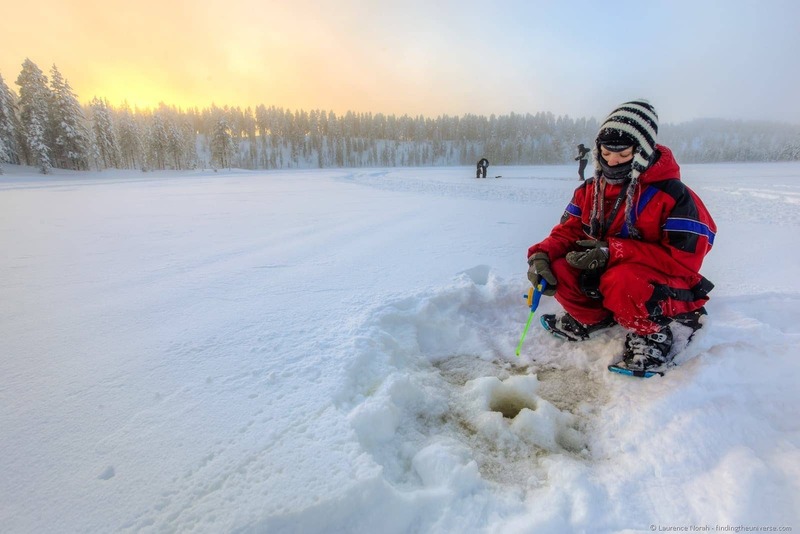 Today I want to share with you the winter activities we got up to in Finland when we visited Iso-Syöte. 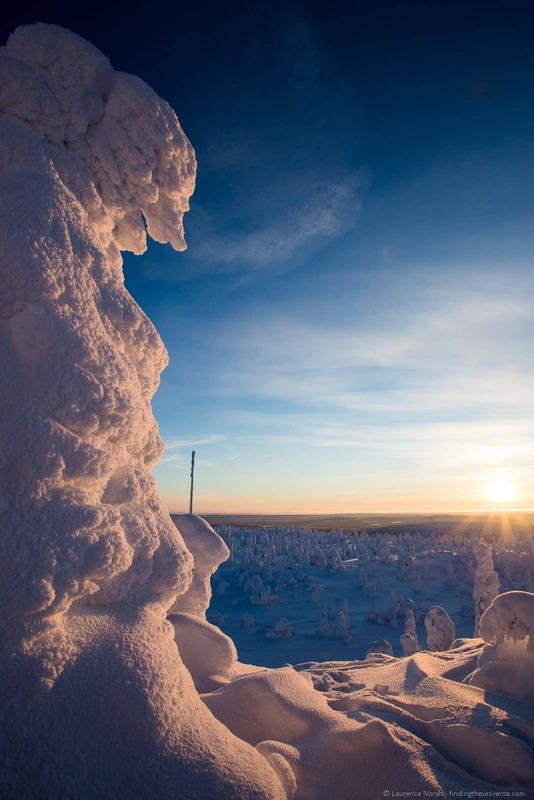 This is Finland’s southernmost fell, and the region of Finland that gets more snow than anywhere else in the country. It’s exceedingly popular with locals for its plethora of skiing options, and is wonderful for the visitor because you can do pretty much every Winter activity you had ever dreamed of from one handy location. When we visited we stayed at the Hotel Iso-Syote, perched atop Iso-Syote hill itself. They also happen to be able to arrange all the tours listed on the page (and a few more to boot!) Here are some of the things we got up to (more on the hotel and what they offer at the end of the post). That husky sledding experience I had was pretty epic, but I appreciate that not everyone wants to spend two days on the back of a sled going into the wilderness. Perhaps a nice a relaxing 7km hour long ride under the winter sun is more your style – just enough time to get the hang of it, but not quite enough time to risk losing feeling in your extremities. With a nice cup of hot fire brewed coffee to finish off with? Why not. So we did the husky sledding experience, which was a lot of fun, and not too strenuous, and unlike my previous foray into the world of being pulled along my dogs, I managed to avoid falling off entirely. Which was nice. I’m not going to lie, snowmobiling was far and away my favourite winter activity in Finland. 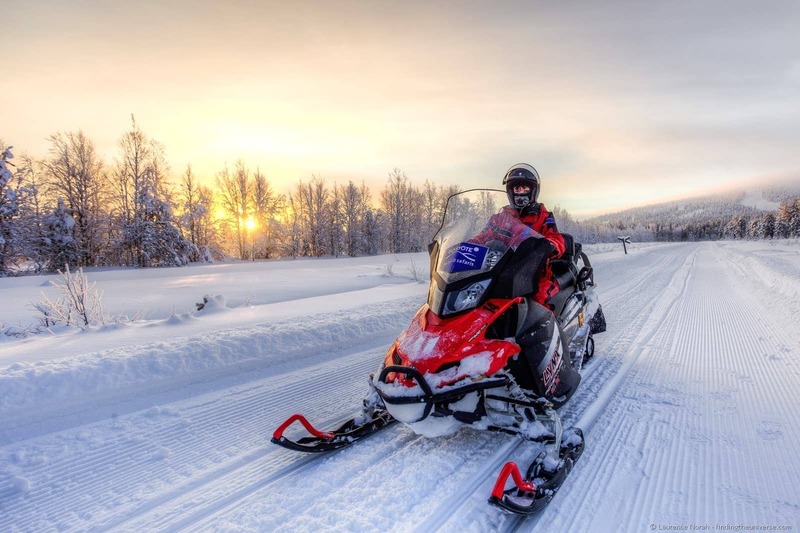 I first got my hands on a snowmobile up in Rovaniemi with Lapland Safaris, and decided then that this was a mode of transport I could get right behind. Not least because of the heated handle bars. Up at the Hotel Iso-Syote, nearly every experience requires the use of a snowmobile in order to reach your destination, a fact I was most pleased about. Husky Sledding? Take a snowmobile to get there. Ice Fishing? Take a snowmobile to get there. Northern Lights safari? Drive around in the dark in a snowmobile chasing the northern lights. I spent a great deal of time driving a snowmobile during my four days up in Iso-Syote, and loved every minute of it. Even those two times I buried the snowmobile deep into a pile of snow and spent a good amount of time digging the poor thing out. It was, at least, warming. Fishing. I’ve done a fair bit of it over the years, and could never quite see the point, especially as you can find perfectly decent fish at most fish mongers without having to go through the hassle of baiting a hook and sitting around wondering if anything interesting is ever going to happen. In this case though, the ice fishing did require a good long ride on a snowmobile to reach the destination, which was particularly good fun over the snow and slush of the lake. Yes, I did get stuck and take an hour to dig my snowmobile out. No, that wasn’t part of the itinerary. Other highlights of ice fishing include having a hilariously tiny fishing rod, getting to play with a giant hand drill in order to pierce the ice and cooking sausages over the fire, accompanied by hot, fire cooked coffee. It basically didn’t matter that we failed to catch any fish at all. Ah, those elusive northern lights. I caught a glimpse of them up in Rovaniemi on my snowmobile safari, but it just left me wanting more. So a three hour snowmobile trek down into the valley to find a dark place and catch the lights seemed like a jolly good idea. And not only because of the thrill of snowmobiling in the dark, also because, well, the northern lights! Ok, so I didn’t get to see the northern lights. I mention this now so as to save you from any heady anticipation followed by disappointment. It turns out the northern lights aren’t something you can just see on-demand. There has to be solar activity and flares and a clear sky and various other factors. 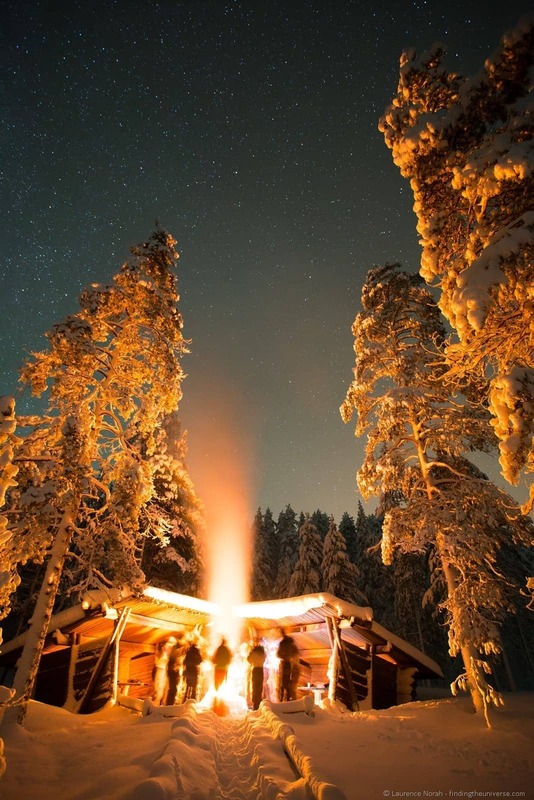 I did get a clear sky and a warm campfire though, which at –35C was very appreciated. Plus the opportunity to take photos like the below. Which made it all worth it. Thankfully I have seen the northern lights on other occasions, and you can read my guide to how to photograph the northern lights for some tips on getting great photos. The only winter activity we did which didn’t require a snow mobile. Boo! Still, strapping on snow shoes and tramping around the massively surreal landscape around the Hotel was still quite the adventure. Much like many of my other adventures, this wasn’t without mishap. Snowshoeing takes a bit of practice to master, particularly on the up or downhill phases, so there was a spot of stumbling to contend with. It was all worth getting a camera full of snow though, because the views up here, across the surrounding frozen landscape, were quite magical. Plus those frozen trees are pretty epic looking, I think you’ll agree. 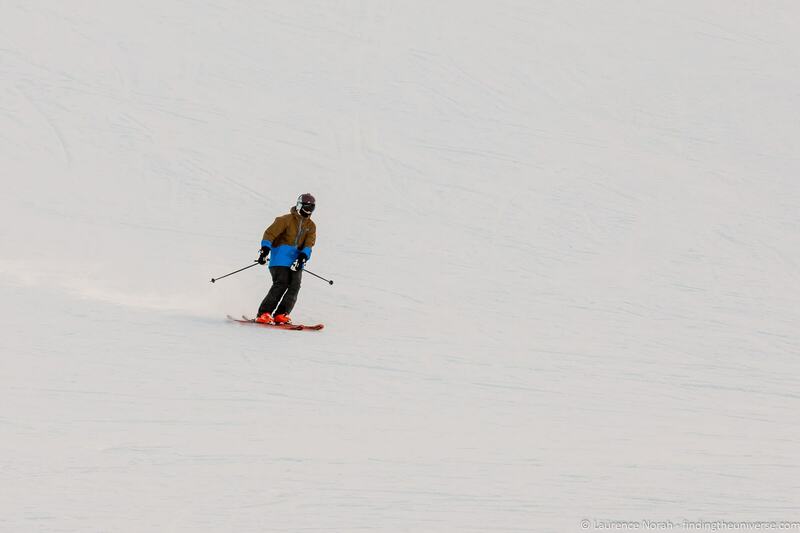 Of course, no round-up of things to do in Iso Syote would be complete without mentioning skiing! Iso-Syote is, after all, first and foremost a ski resort, home to 17 slopes that you can ski on. These are serviced by 10 lifts, and range from easy blue runs to more challenging black and red runs, as well as off-piste areas and a number of snowparks for the more adventurous amongst you. As well as the 17 main runs, there’s also a a children’s SnowWorld, which has four slopes and four runs, designed to help younger skiers improve their skills. There’s ski and snowboard rental on site, as well as a ski school for lenses. 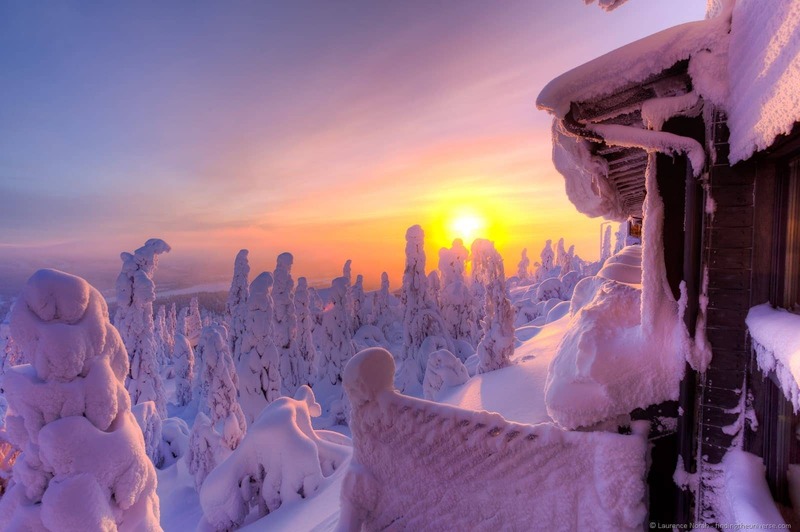 If you are looking for somewhere to ski in Finland, Iso Syote is an excellent choice as it has the most snow of any location in the country, meaning conditions are likely to be good for your visit. 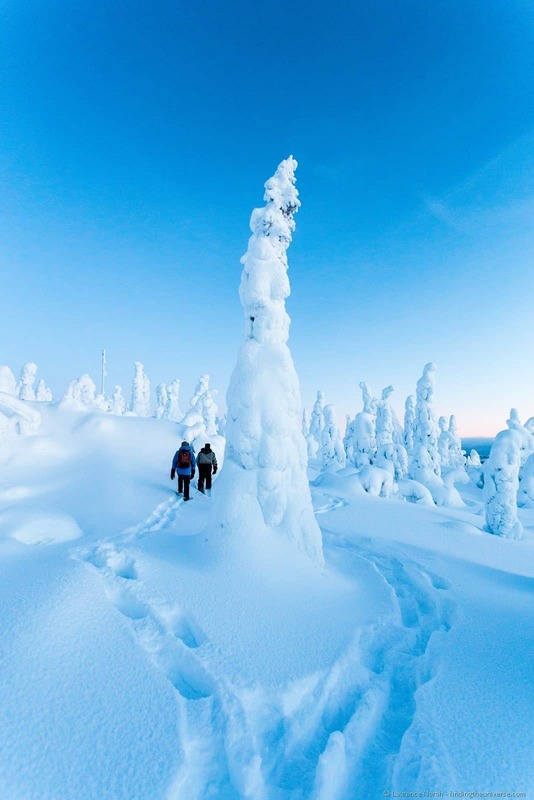 If you are planning on skiing or snowboarding, do see our guide to what to pack for a ski trip, as well as our guide to what to pack for winter in Finland, for tips on what to bring with you. We stayed at the Hotel Iso-Syote, which was wonderfully located at the top of Iso-Syote hill. This offers stunning (seriously, unbelievable) views of the surrounding landscape, easily the best view from any hotel I stayed at during my time in Finland. It also turned out, much to my surprise, that the hill was the warmest place to build the hotel, due to the fact that cold air sinks (can’t beat science!). So even when temperatures hit –30C in the valley below, the air around the hotel was a far more reasonable –12C or so. Yes, I appreciate that’s not exactly warm, but it’s still easier to cope with than –30C! As well as arranging all of the activities that we got up to, the Hotel is also at the top of the ski lift for easy access to the slopes, has a sauna (this is Finland after all) , swimming pool, two outdoor hot tubs and a variety of massage therapies. Finally, the on-site restaurant offered a truly excellent a La Carte menu, with all the classics you’d expect in Finland, including reindeer and salmon (of course! ), or daily buffet options. Accommodation ranged from simple twin rooms up to a gorgeous suite, as well as individual cottages for 4 – 8 people. 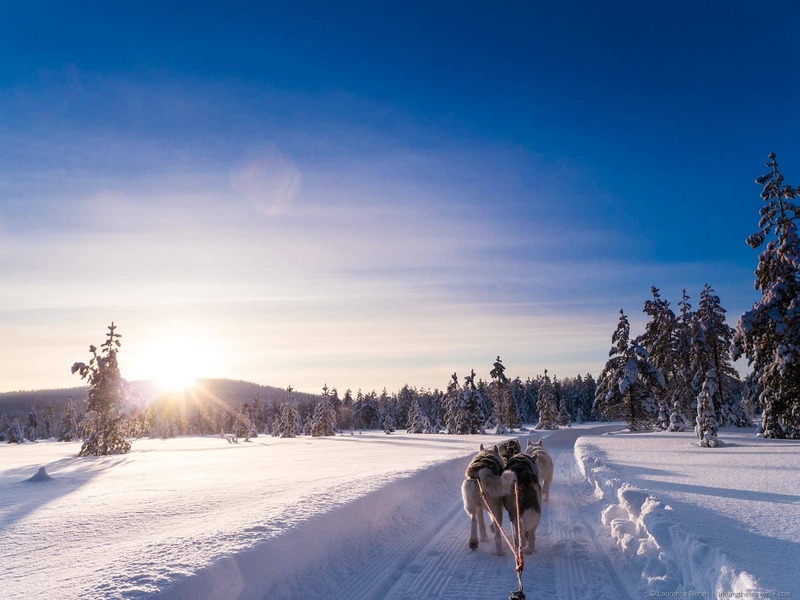 If you’re looking for a place where you can experience all the wonder of Lapland from one handy spot that also comes with a bar, excellent restaurant, great views and a plethora of post-activity relaxation options, then we can very much recommend it. Check prices on Booking.com for Iso Syote to get the best price. The easiest way to get to Iso-Syote is by car – it’s approximately a 1.5 to 2 hour drive from the city of Oulu, which is an hour’s flight from Helsinki. There is also a bus connection to Iso-Syote from Oulu. And finally, the official guide to Syöte, which includes information on the Syöte National Park, Iso-Syöte skiing information, and the Pikku-Syöte activity area. And that’s it for our trip to Iso Syote, where we took part in some of the best winter activities Finland has to offer! As always, we’re open to your comments and feedback, just use the comments box below to share your thoughts. Our trip to the Hotel Iso-Syote and associated activities were in partnership with Visit Finland, who covered the costs of our accommodation, food and activities. Flailing around in the snow, burying snow mobiles and expressing opinions are all authentically me.